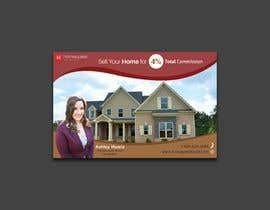 I am looking for 4 post card designs that are 5.5in x 8.5in for a real estate agent. I will be posting ideas and files needed for the post cards including stamp imprint and template for the postcard. 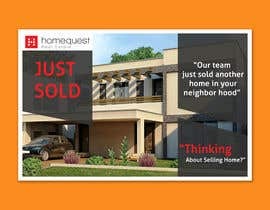 My main selling point is to homeowners for Selling Your Home For 4% Total Commission. That's 2% Less than the rest. This saves my clients thousands. It should be prominent on all cards. 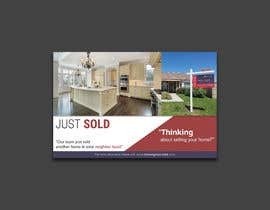 One postcard is a generic Just Sold real estate postcard. 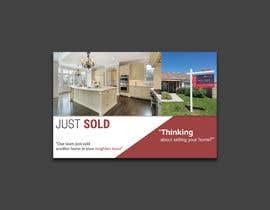 This card can be mailed to any home and does not have home specific details on it, but rather "Our team just sold another home in your neighbor hood" "thinking about selling your home?". 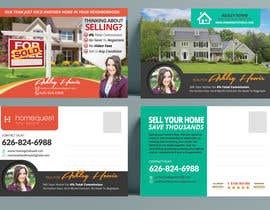 The Second Postcard is an advertisement for selling your home. 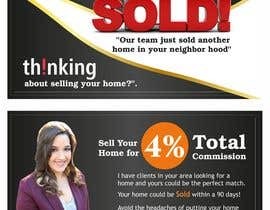 My slogan is "Sell Your Home For 4% Total Commission." 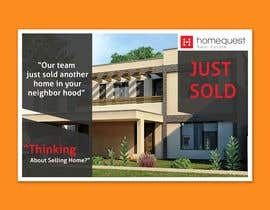 I am looking to catch homeowners attention with the 4% offering. I am also hoping to show the value of working with my team. We offer full service and maximum exposure for our listings. Third/Fourth Postcard is the back of the card. 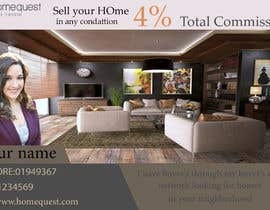 I am looking for something to continue to catch their eye with both the value of listing with us at the 4% total commission. Perhaps listing the counties we work in? The 4% Chart? Full Service Offering? Something of value for the customers? A review? I was also the top producer at my brokerage both 2016 and 2017. That could help with adding trust with the customer. I am open to any ideas and suggestions. I can also provide more images of my past listings, client reviews. I have included a commission chart and images of myself. 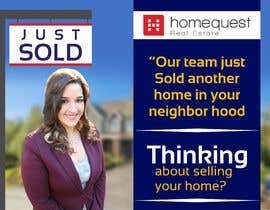 I also like using the saying "I have buyer's through my buyer's agent network looking for homes in your neighborhood". This will match my direct mail campaign already. Please don't hesitate to contact me or ask for more information. I am looking for photoshop files that I can edit as information changes. Hi, I'm wish to participate in this contest and I'm working on my entry. Please allow sufficient time before selecting a winner, so that I can present my work. Thank you. I've submitted my entry #14. Please take a look and let me know your feedback! Hello! I would love to work on my entry for you this weekend. I will follow the template provided to accurately set up the layout and bleeds. Ok great. The template is for the back, but can be used for the front just using the whole space instead.